The 12g threaded Co2 Cartridge is a perfect fit for any bicycle tyre pumping requirements. The 12 gram c02 cartridges are filled with 100% Co2 delivering fast, effective re-inflation for your bicycle tyres. 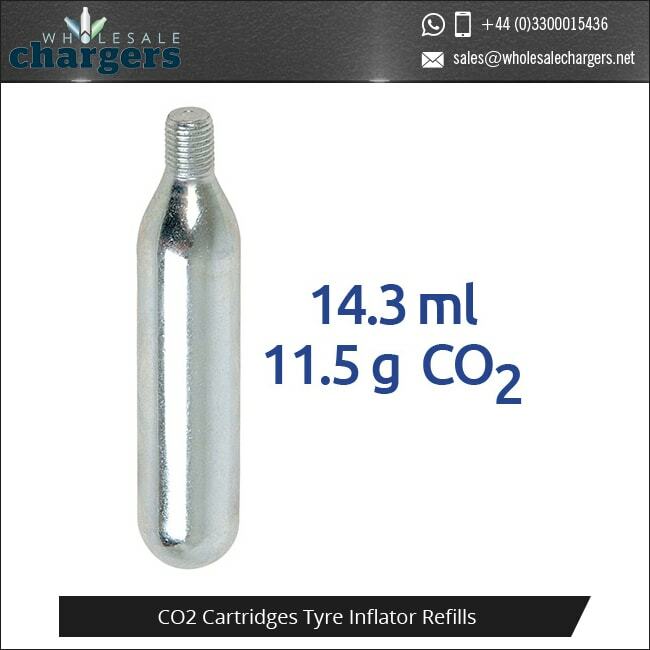 These 12 gram C02 capsules will work with the majority of tyre inflator’s and will re-inflate tyres on your BMX, Mountain Bike or Road Bike and can even be used to re-inflate motorcycle tyres, though this could require four or five co2 cartridges depending on whether using 12g or 16g cartridges. 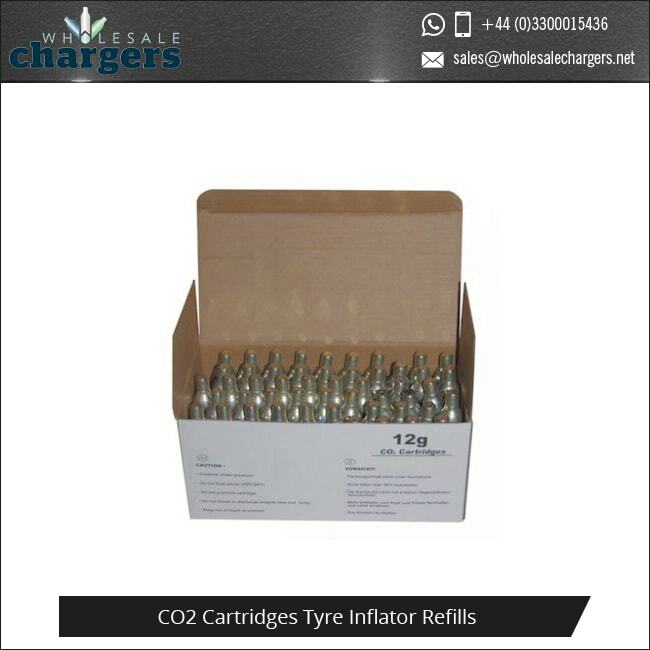 Whatever cycling you are into, mountain biking, racing or cycling as a hobby, these 12 gram threaded Co2 cartridges will give you fast and effective re-inflation for your bike tyres. The 12g Co2 cartridge will pump your tyre in a single, easy shot. The 12G threaded C02 cartridge is made from 100% recyclable steel and is easily be recyclable along with your tins and cans once fully empty. It is easy to attach and detach from your tyre inflator and we also supply with kits or separately the foam covers for your tyre inflator to protect your hand during each use. Keep yourself on the road, in the mountains and in the race for longer. 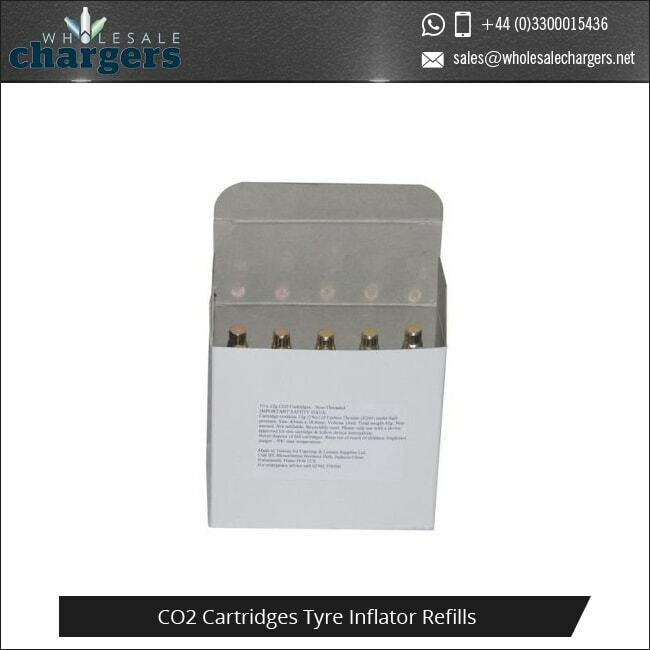 The 12g c02 cartridges can also be used with tyre inflation pumps and kits. 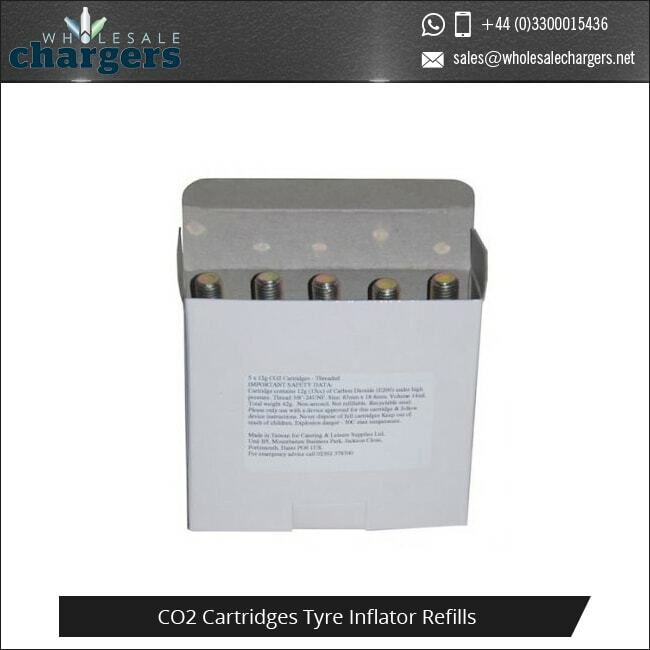 The 12 gram threaded Co2 cartridges are compatible with many tyre inflator’s, but ensure that yours is compatible before use. The 12 gram C02 capsule is suitable for use with Road Bikes, BMX, Mountain Bikes and with four uses can fill a motorcycle tyre to 24PSI/1.6BAR. • 4 x 12g to inflate 1 x Motorcycle 180/55/17 tyre to 24PSI/1.6BAR. 12g threaded C02 cartridges are manufactured and produced by our suppliers Liss and Mosa. Liss Co2 cartridges and Mosa C02 Cartridges are produced to the highest quality for the World market. Mosa is one of the world’s largest manufacturers of compressed C02 gas cartridges. They have an array of products such as C02 cartridges for carbonating soda, cartridges for inflating tyres, and inflating car airbags. 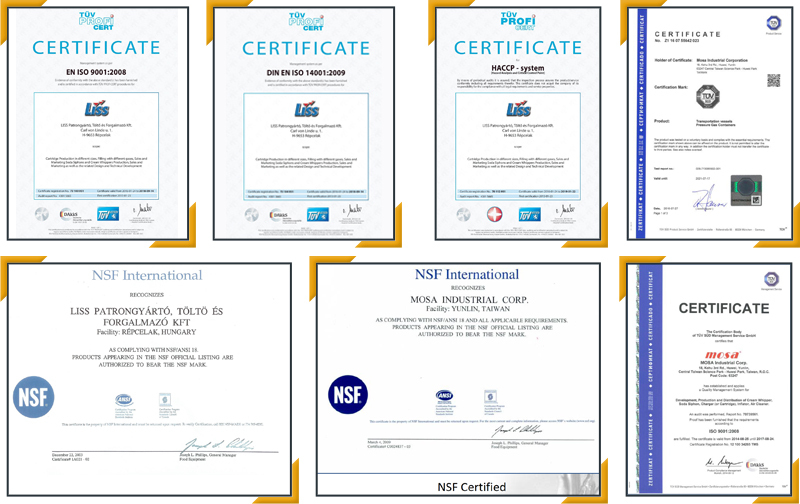 Liss is a well-established Hungarian company manufacturing high quality compressed gas cartridges. 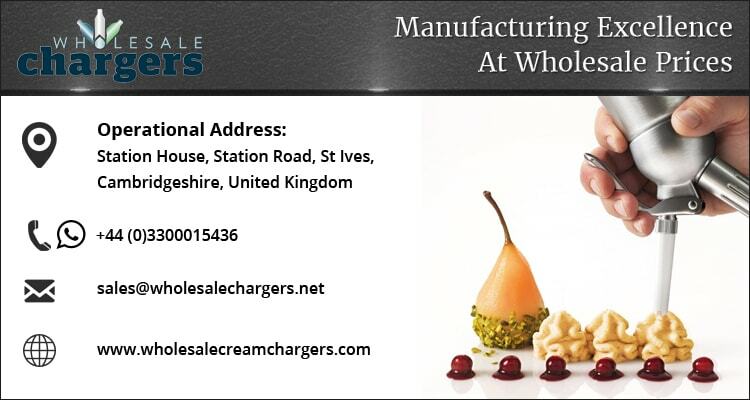 They are a private, family owned company that supply a variety Co2 cartridges, tyre inflator’s and much more. The minimum for all orders of Co2 cartridges is 500 cartridges, orders are bulk amounts, not single units. All cartridges you order will come in unbranded packaging, meaning you can repackage your orders, label and design them the way you want. Alternatively, we can repackage the cartridges on your behalf, adding any designs you wish before we deliver them. Supplying nonlethal solutions to many, including some of the most elite military training organizations and weapons manufactures halping to make the world a safer place.